Matrix South Bay Posts Best Season Yet! I am proud to note that Matrix South Bay FC completed its most successful season ever, with 40 more wins than losses among our teams in the Presidio League. Three of our seven teams won first place, and another won second place. The amazing level of play from our teams is evident in our collective record of 60 wins, 20 losses, and 10 ties. We were a small club in terms of teams, but mighty in our level of play. In addition, for the first time I can remember, our teams in the Presidio League did not receive a single player or coach red card. That is outstanding. In the new San Diego Development Academy, our two girls older teams took some lumps, literally, with a number of injuries. But I am proud to say that each team fought hard to the last minute of their respective last matches. The teams each entered the season in a rebuilding mode, and will clearly be stronger in the coming year. Congratulations go out to our U12G Red and U12G White teams. Both finished in first place. For the U12G Red team, coached by Hector Gonzalez and assisted by Polo Aviles, it is their second consecutive first place finish in Presidio competition. They went undefeated in compiling an 11-0-2 record. For the U12G White, coached by Joel Garcia, this is a great success story. Coach Joel and Asst. Coach Ivan Martinez began training the team last winter under a lamp post at the South Bay Recreation Center Park with just a handful of players. With the great assistance of trainer Marco Meza, this team gradually attracted players from across the area. They finished 10-1-1. Let me say it again. Congratulations to the U12G White and U12G Red teams. Equally awesome! Presidio League Champions. Our U19G AAA Matrix team also finished first, posting an 11-1 record. This, too, is a tremendous success story. The team rebuilt itself into Presidio League Champions from one season to the next. Credit goes to Coach Santiago Villanueva, who juggled two Matrix teams throughout the season. 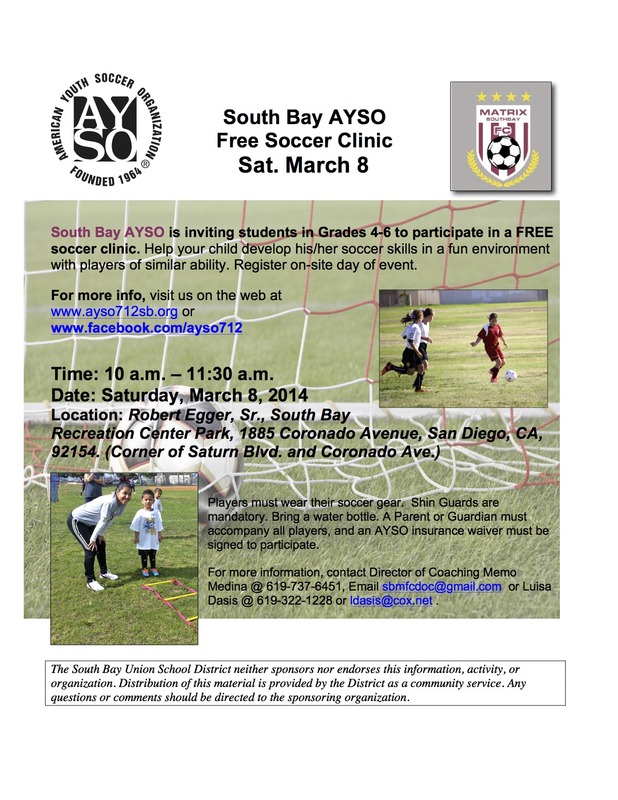 Our U19G team is our oldest team, and many of the players started in South Bay AYSO when they were 4-5 years old. We are very proud to see how so many have grown into varsity high school players, and with such great success in Matrix as well. Way to go, ladies! Our South Bay U14G Matrix team took second place this season, completing one of the most remarkable turnarounds we have seen in a while. A huge ‘Thank You’ to Coach Luiz Loya, whose exceptional skill and ability with youth was noted by many. Awesome! 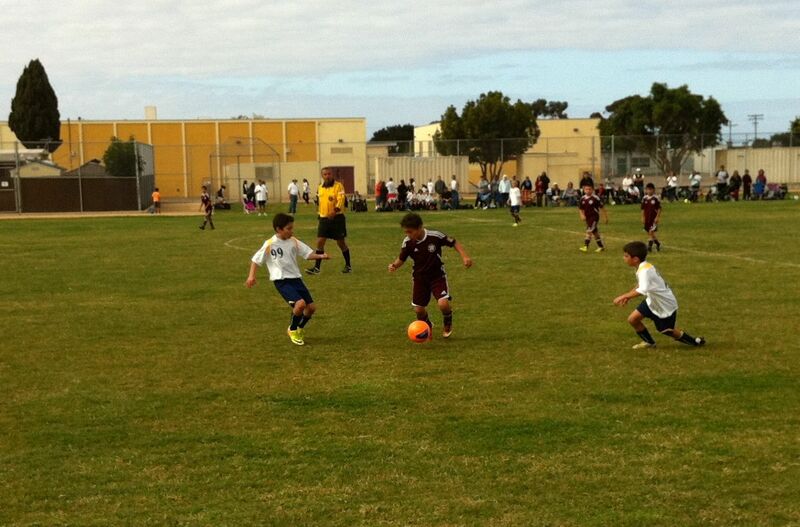 South Bay Matrix U11B and U12B teams each took third place in their respective divisions. Our U11B team coached by Luis Sanchez was the highest scoring team in our club, and likely in their bracket in AA-B. Coach Santiago’s U12B team compiled a 6-2-4 record in its first season in AA-A. ‘Well done’ to each boys team! A special thanks goes out to our longtime trainer and director Diego Terry, whose assistance was invaluable in establishing a strong foundation for our club within the spirit and guidelines of AYSO. Coach Diego’s knowledge of the game, and skill in working with youth is applauded, and appreciated. It was because of Coach Diego that we first established a winning tradition. He will be missed, and we wish him well in his new endeavors. More recently, trainer Marco Meza began assisting our teams, and we appreciate his work too in demanding proper technique and skill development. We thank Mr. Meza, too, for his work with our teams. We are undergoing significant changes as we close 2013 and look forward to 2014. 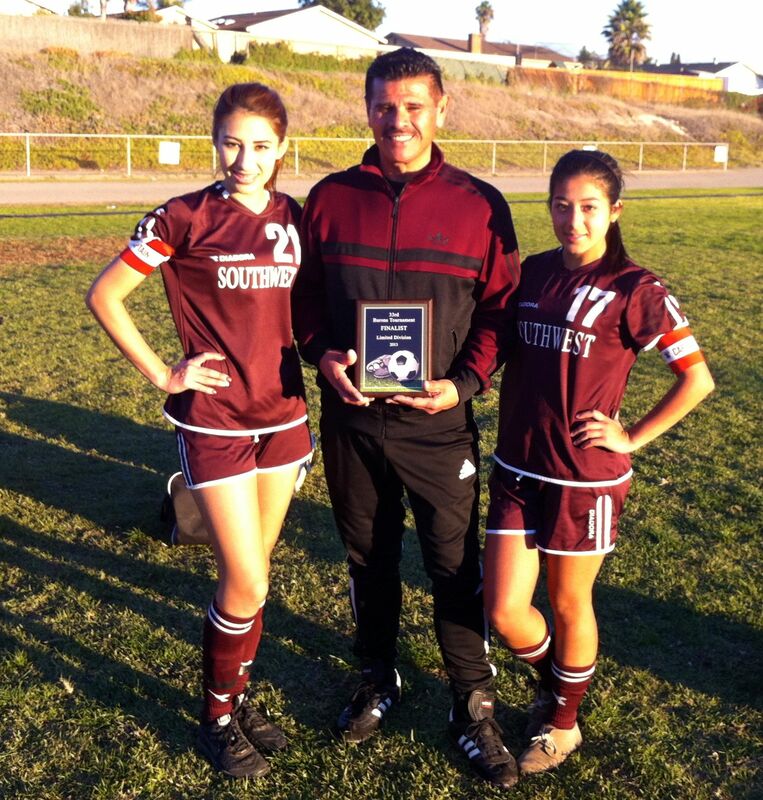 Matrix South Bay is excited to announce Guillermo “Memo” Medina as our new Director of Coaching for the 2014 season. Coach Memo brings 20 years of coaching experience, from assisting at the Southwestern College and San Diego State University Men’s teams to serving as an instructor for Cal South and NSCAA in coaching education. He holds a USSF ‘B’ license, NSCAA Premier diploma, MS in Physical Education, and is currently the Athletic Director at Southwest High School. It is no accident that the Men’s Varsity at Southwest High has made the CIF playoffs eight years in a row, including several Finals appearances. We welcome Coach Memo to Matrix South Bay/AYSO 712. Be on the lookout for January 28 and January 30 tryout information (younger divisions) for next season’s teams! “Good coaching [is] the development of character, personality and habits of players, plus the teaching of fundamentals and team play.” Pretty good advice from AYSO. And consider this practical bit of advice from the Coerver Coaching website: “Coach with your heart, not only your head. Young Players need care and attention, winning is not everything at this age. So think before you say anything other than encouragement and praise.” We couldn’t agree more. For more instructional tips, and great links to video instruction, see our updated Coaches Corner. Also, for those who need more training balls, Score Sports has a multi-pack special. (SAN DIEGO – September 6, 2012) — Kicking off the 2012 soccer season, the Michelin Soccer Program is coming to local communities in support of youth soccer. Beginning September 8, 2012, families of AYSO Region 712 will receive certificates to be redeemed for a free, high-quality, four-ply soccer ball (official size and weight) while supplies last at San Diego Tire Pros. The certificate entitles each family to one free soccer ball from the participating tire dealer and includes an exclusive rebate for a future tire purchase. After the 30-day program period, AYSO Region 712 (South Bay AYSO) will receive $2 on behalf of Michelin and San Diego Tire Pros for every MICHELIN® tire sold to the general public. Donations can be used to purchase items such as new soccer equipment, uniforms, and entry fees for local soccer tournaments. Soccer is easily the fastest growing youth sport. This fall, over 1,300 dealers and soccer leagues are partnered up with plans to donate nearly 200,000 soccer balls to youth soccer players in their local communities. To learn more about the Michelin Soccer Program, visit http://www.michelinsoccer.com/?league_overview. To find out more about San Diego Tire Pros, contact Jeffrey Yasukochi, 619-428-8473, at 750 Dennery Rd in San Diego or visit http://www.sdtirepros.com/index.htm.